As mentioned in our previous posts, Istanbul is truly a shopping walhalla for shopaholics. With its hugh number of Shopping Malls (AVM’s) and shopping high streets, Istanbul is definitely one of the best cities in the world for shopping. In this post, we will share our experience in Istinye Park as part of upscale shopping in Istanbul. In our opinion Istinye Park is probarbly the best shopping mall in Istanbul. It exists of 4 levels and almost 300 shops with all top global brands like Gucci, Armani and Hugo Boss. It also has the local Turkish brands like Beyman and other more common global brands like H&M and Zara. Istinye Park has an open air section on the top floor but most of the floors are within the enclosed section. 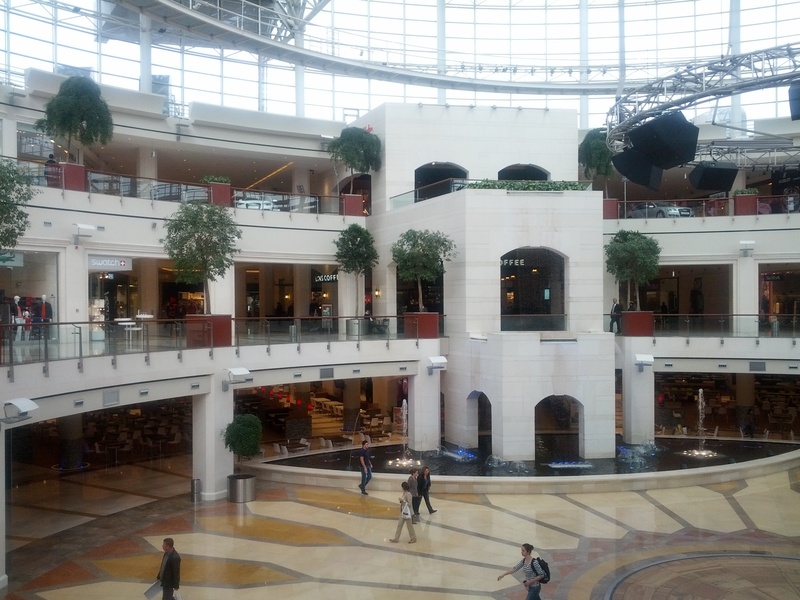 The Shopping Mall is located in one of the upscale areas in Istanbul namely Sarıyer (Istinye). The visitors of Istinye Park are also more elite than most of the other Shopping Malls in Istanbul. Although Istinye Park is very crowded, it is more relaxing to shop here than in other Shopping Malls in Istanbul. There are many possibilities to get to Istinye Park. If you do not have a car, we would recommend to take a cab. It is really close by Levent, Etiler, Maslak and the other Beşiktaş districts. It will not cost you more than 25 TL to get to Istinye Park. During lunch time, there are Istinye Park busses taking you to the Shopping Mall. You can find the transportation details on the site.